Originally from Sweden, I now calls myself a Swiwi after being here for 11 years. During my childhood and youth I was a part of various of sports such as gymnastics, dance, football, horse riding, cheerleading and circus. I started youth circus school at the age of 9. After 6 years of training and performing with the youth circus school I started a secondary school which was Circus focused. This is where my passion for circus grew and I focused on aerial dance such as silks, trapeze (static and swing) and cloud swing. I also trained other aerial forms, hand balance, tight rope, juggling, clown, trampoline, unicycle and acrobatics. During these years I continued to work for the circus school and coach kids in the art of circus. 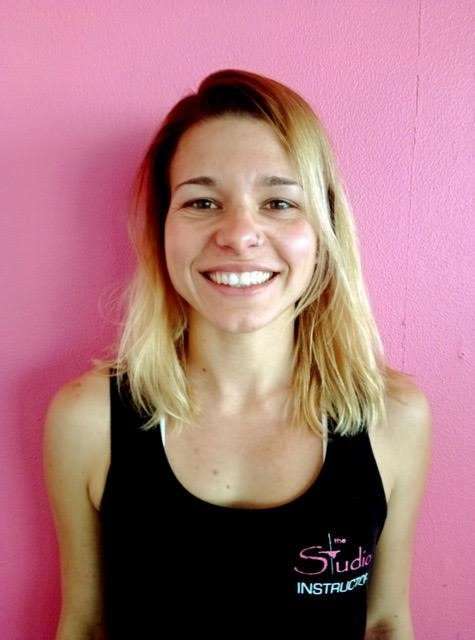 I settled in NZ in 2008 and got back in to teaching aerial hoops and silks a few years after. I love to be upside down and think it's great to be able to bring in the fun and playful side into my training; exercising should be fun, right? I have been doing aerial silks for the last 4 years in Christchurch at Circotica. 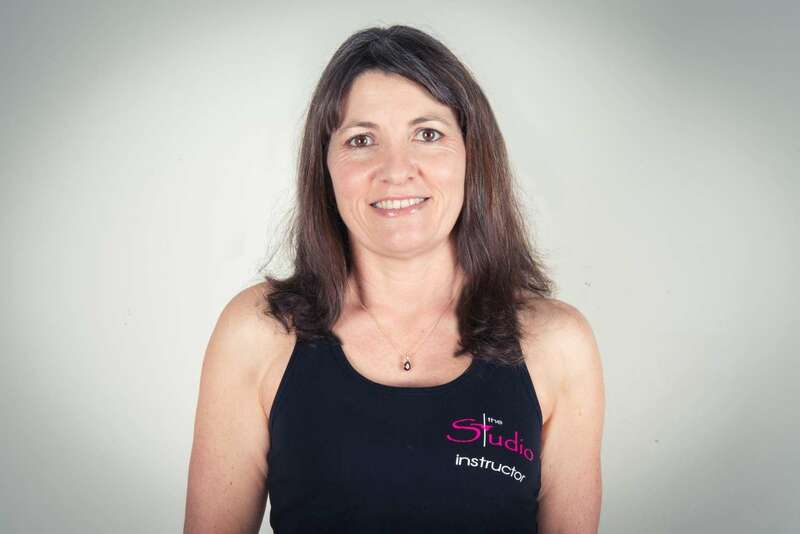 I recently moved up to Tauranga and have made “The Studio” my new silks home. For me aerial silks is an amazing way of building strength and flexibility without really feeling like I’m exercising. 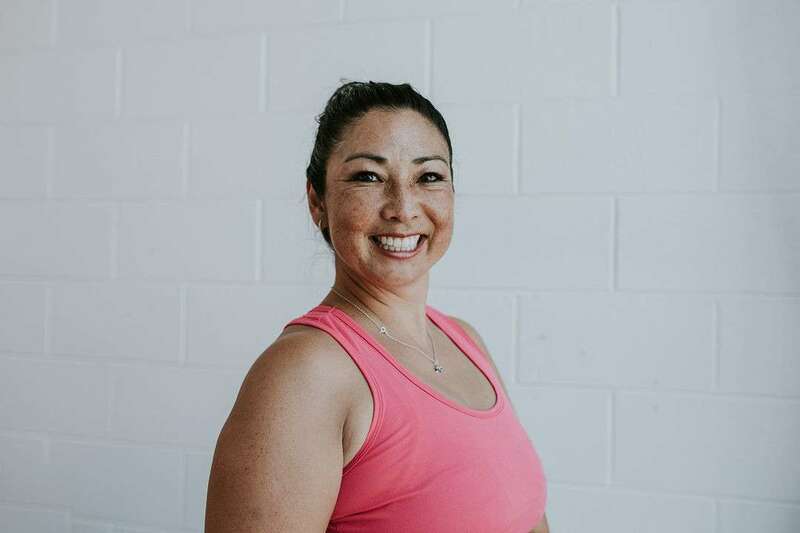 The challenge of learning a new move or drop teamed with the excitement of the next performance or fabulous costume drove me to train more and more and before I knew it I was the strongest I’d ever been. As well as being a great form of exercise most people will agree that silks is a beautiful performance art. 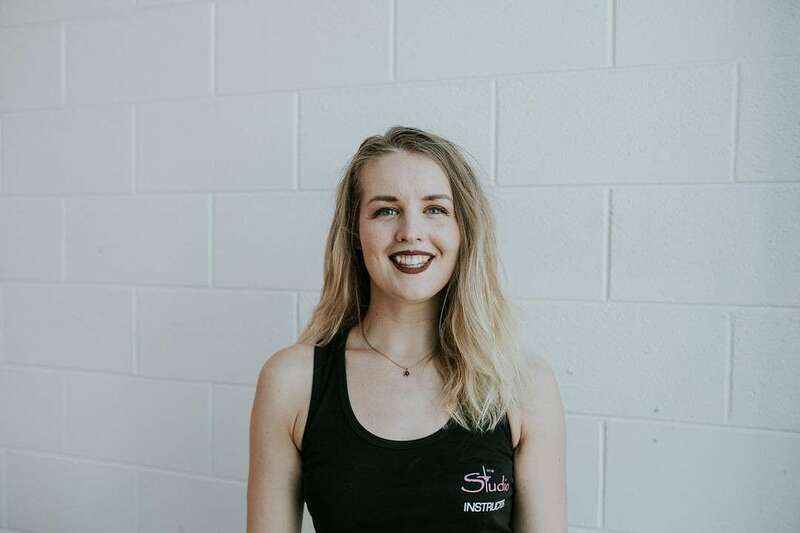 I’ve been lucky enough to perform in a variety of settings and it has been an awesome way to boost my confidence and make heaps of amazing friends. I look forward to sharing my love of silks and circus arts with my students. I am seven years into my pole journey, having attended my first lesson in 2010. Any doubts I had dissolved during that first class, it was so much fun, and I couldn’t wait for the next class, even though I hadn’t mastered any moves. I encourage anyone reading this to give pole fitness a try, to put aside your nerves, and give it a go. Don’t let age hold you back either as I was already in my 40’s when I began. Pole is a fun way to work out, it gives you a total body workout, toning and strengthening all areas. There are always new moves to learn, so plenty of challenges. And as we all learn at different rates, we can progress at our own pace and with practice and perseverance you will achieve. 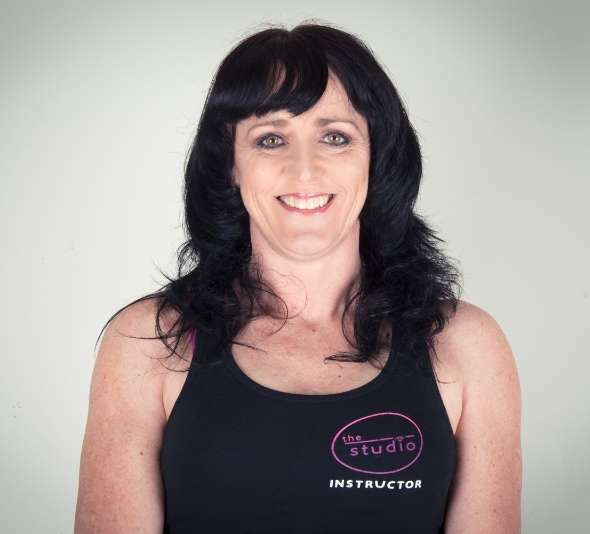 Any of the studio instructors would be happy to help and guide you on your own pole journey. 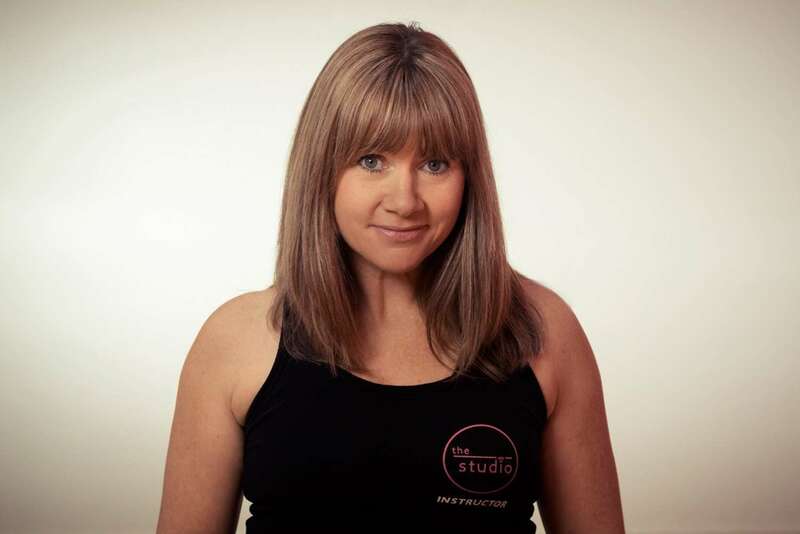 I would love to meet you at The Studio, Mount Maunganui, see you soon! 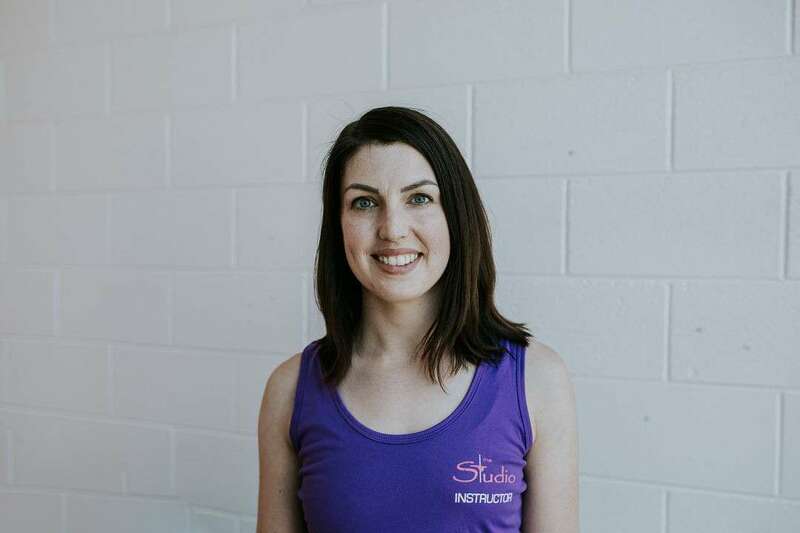 Totally pumped to be part of this awesome team of people helping others join in all the fun that is pole dancing. I have a firm background in fitness with many years spent running, gyming, and horseriding. Any opportunity to be in nature especially if it involves some kind of exercise and i'm there. I have been playing with pole on and off for around 5 years now but have really began to train hard and make huge progress in the last two years. I really enjoy helping women feel empowered through dance and seeing the impressive progress almost anyone can make in just a few classes. In my spare time I am busy developing the off grid property I share with co-instructor/sister Jess, my son and the rest of my family. Gardening, music, herbalism, fitness, ocean swimming, reading and of course pole dancing are my passions. I look forward to seeing you at class, bring a sense of humor and a smile and you'l be hooked in no time! 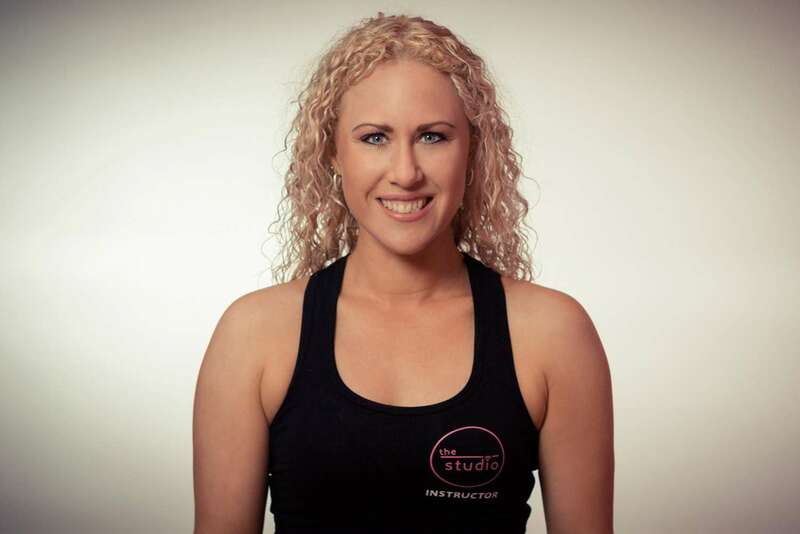 Kirsty Carter first stepped out on stage back in 1993 and has not stopped since. 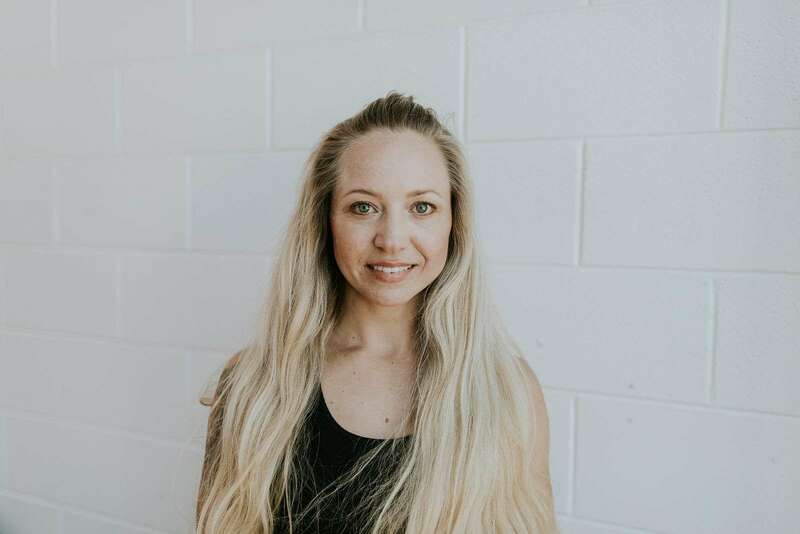 Her love and passion for dance and performance took her to Sydney at just 17 years old where she studied Performing Arts at ED5 international in 2005 and went on to dance act model and perform across Australia and Asia before returning home to NZ and starting her family. 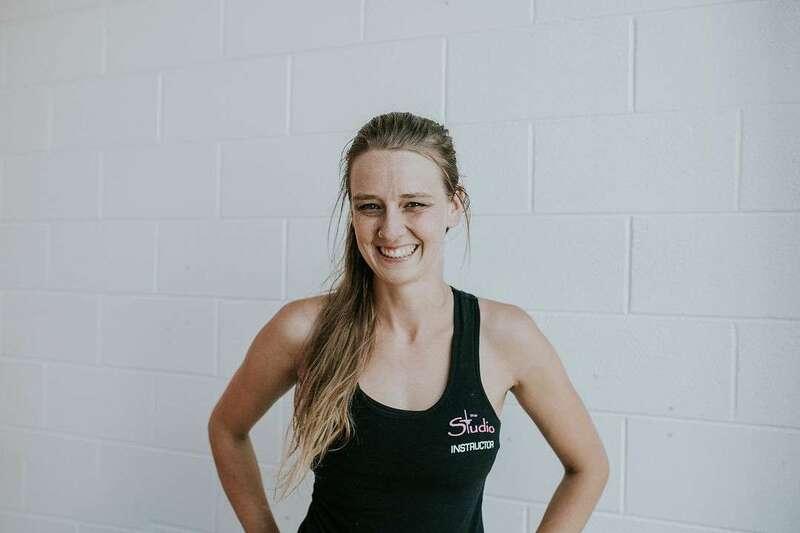 After returning home Kirsty obtained her AJDA Teachers certificate in 2011 and continued to teach Jazz, Ballet and Contemporary in Taupo before moving to Tauranga and discovering pole dance at The Studio. 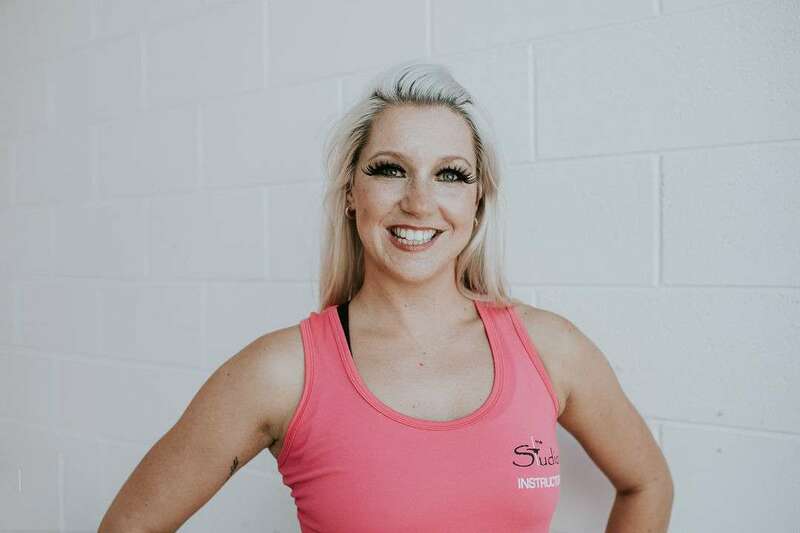 Kirsty has been a pole instructor at The Studio on and off since 2015 and she currently teaches pole flow and burlesque. 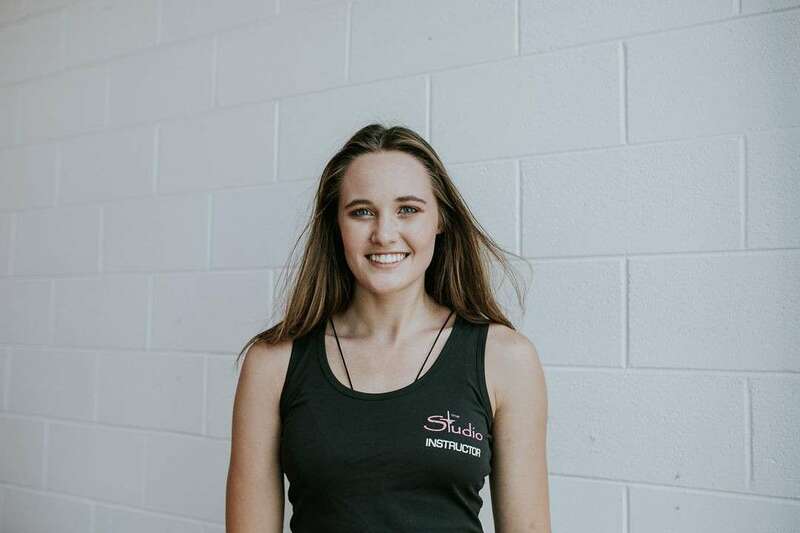 Kirsty continues to perform all over NZ and has recently made the move into show production, a goal of hers for a long time. 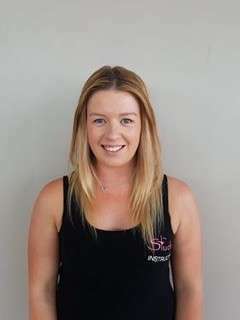 Outside of dance life, Kirsty runs an Automotive Air Conditioning company with her husband and enjoys fishing snorkelling and diving with her two school aged boys. 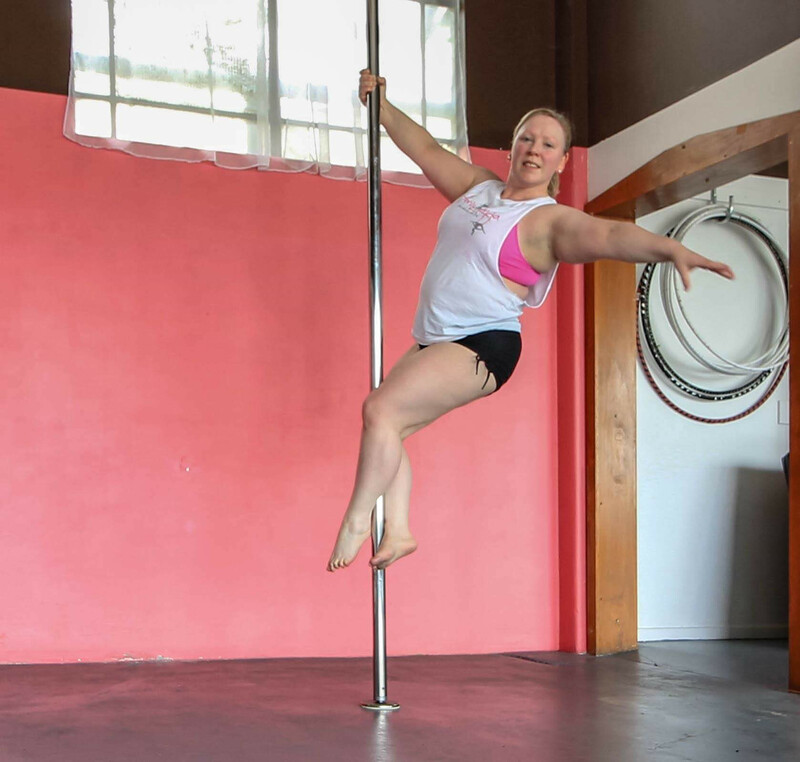 I started pole dancing in 2012 and I was hooked from the first class, even after waking up the next morning with pain in muscles I didn't know I had. 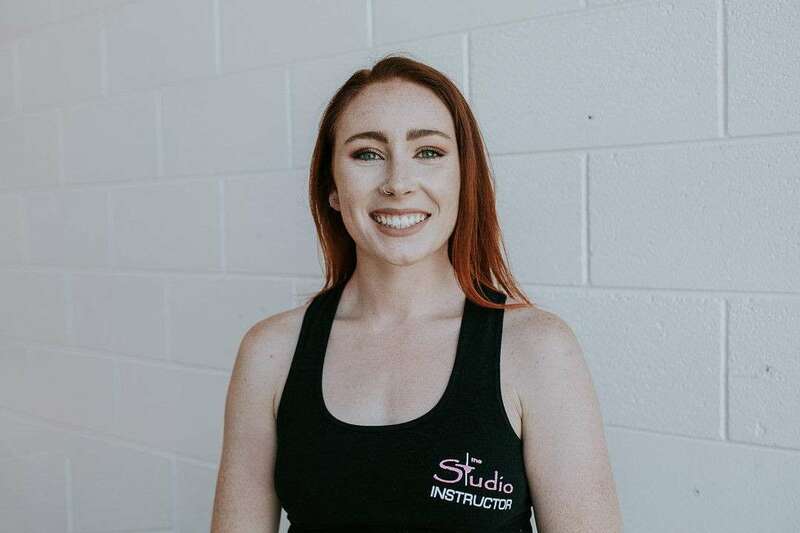 I love the multitude of challenges that come with pole- the coordination required to learn new moves and transitions, putting fear aside to learn exciting flips and drops and figuring out how to pirouette and move with grace in 7 inch heels! 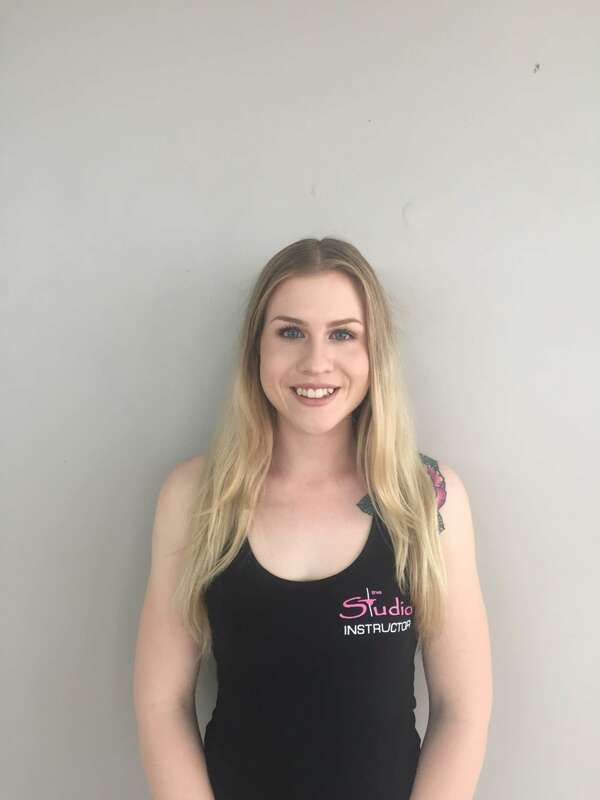 I started pole with no background experience in dance, gymnastics or flexibility and I am so proud of what my body can do now- I have confidence dancing on stage for an audience and now have a few competition ribbons under my belt to show for it. 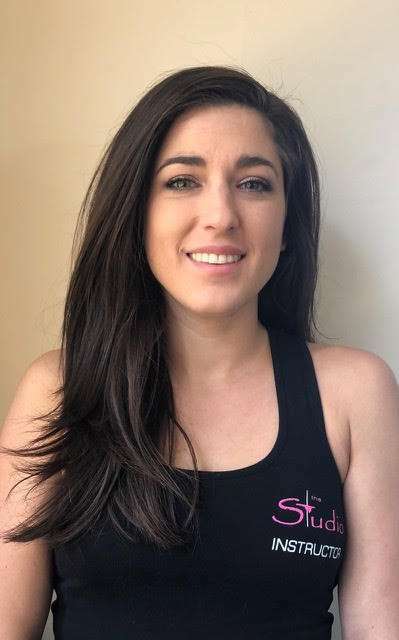 Pole dancing has motivated me to learn about how we can move, stretch and strengthen our bodies in a safe way, and I look forward to sharing my passion with students of all levels at The Studio!" Tauranga born, my family moved to America when I was a baby. I grew up in California, and moved back to New Zealand when I was fifteen. I played soccer for ten years before i decided to run Cross Country and 1 year later decided to take up pole fitness. I had some previous experience with dancing so I was lucky that I leaned quite quickly. I am planning to enter my first competition for pole this year, which really drove me to get better. Along with teaching I am also studying to get my Psychology degree, with a minor in Human Resource Management. I love meeting new people, and teaching pole fitness allows me to be a social butterfly, and do some exercise at the same time. 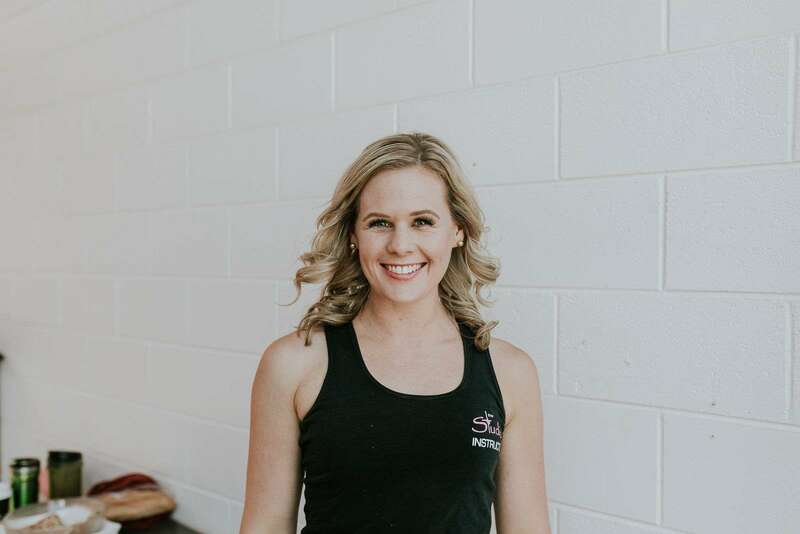 I am a fitness and nutrition geek with a passion for movement and expression. I am deep in a love affair with pole and more recently aerial hoop (lyra). 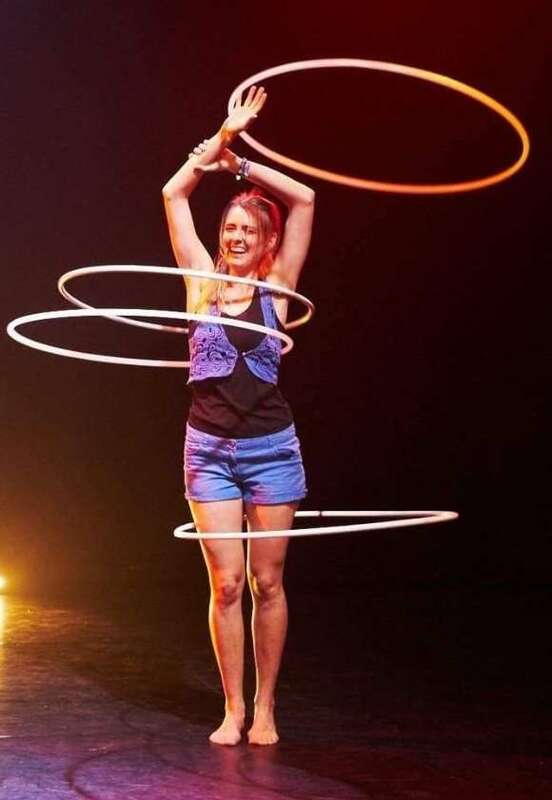 I love the strength and flexibility pole and aerials have allowed me to develop, but above all I love having a creative outlet from my ‘muggle’ life! 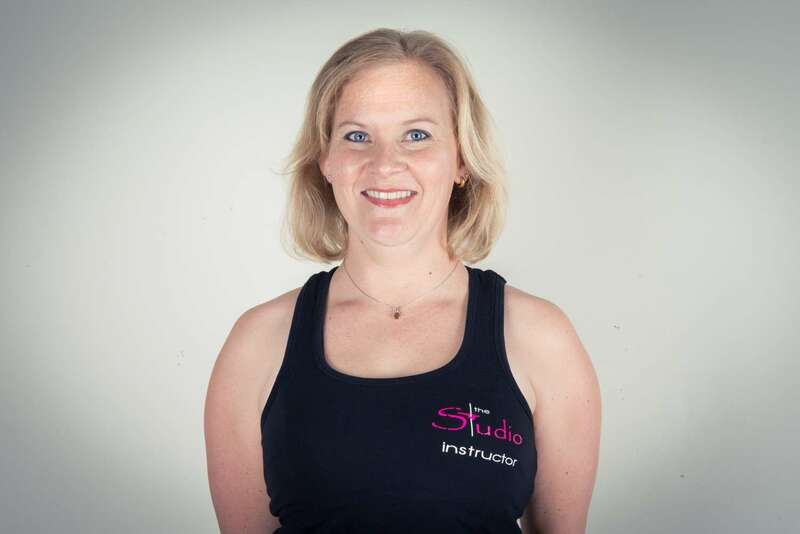 I started my aerial journey in 2015 and became an instructor in mid-2018. I love sharing the joy of movement with my students and being part of their journey. Pole is really so much more than a style of dance, it’s an art form that embraces sensuality, strength, and vulnerability, a family which brings together people from all walks of life, and a sport which leaves people in awe of the amazing things the human body is capable of. I first started dancing at 5 years old doing Jazz, and have been dancing in some form or another ever since. My main form of dance training was years of Classical Ballet. 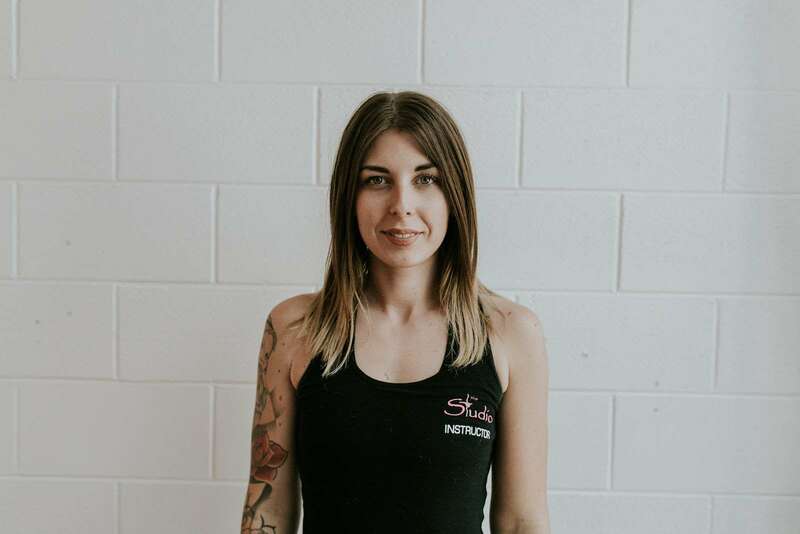 I began competing at a National level in Rock'n'Roll in 2006, and have been an NZ champion and also have won an Australian competition. I began Pole as I had some time between competitions and in order to keep dancing (otherwise I get dance withdrawals) I thought I would try something new! Ive been hooked ever since! I love how I can incorporate all of my dance background into Pole, and how it uses muscles you didn’t know you had. Pole dancing, to me is great because you overcome so many personal battles (like entering a pole dancing competition!) to master new moves while gaining so much strength and flexibility along the way. When I'm not at Pole, I'm either training hard for Rock'n'Roll competitions or at University studying for my Masters in Applied Psychology. I first started ballet when I was three years old. As I got older, I learned more new dance styles including jazz, tap, and lyrical/contemporary. Once I completed all my dance exams, I started teaching. 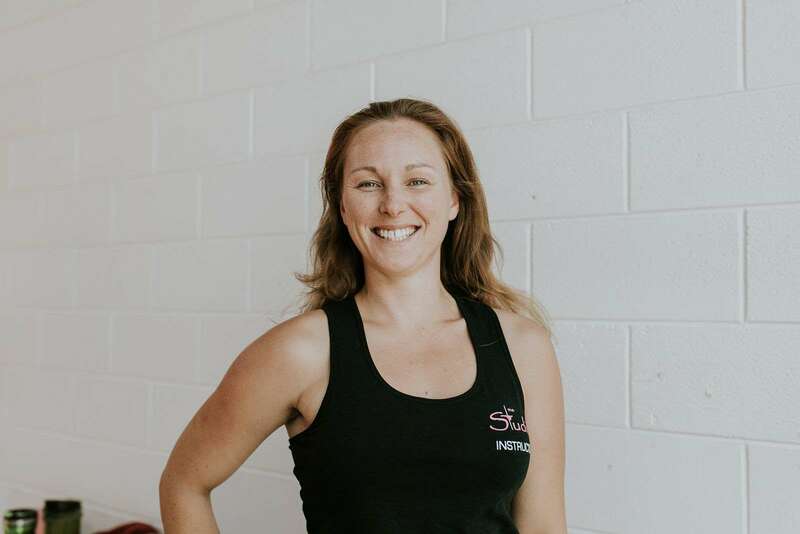 While I was teaching (and studying) I dabbled into a few other styles such as ballroom/latin and rock'n'roll, just to keep me busy and continue some kind of dance training (what can I say - I'm addicted to dance!). I taught for 6 years before a new job as a molecular biologist took me down to Wellington. That is where I first fell in love with pole. From my first class I was hooked. 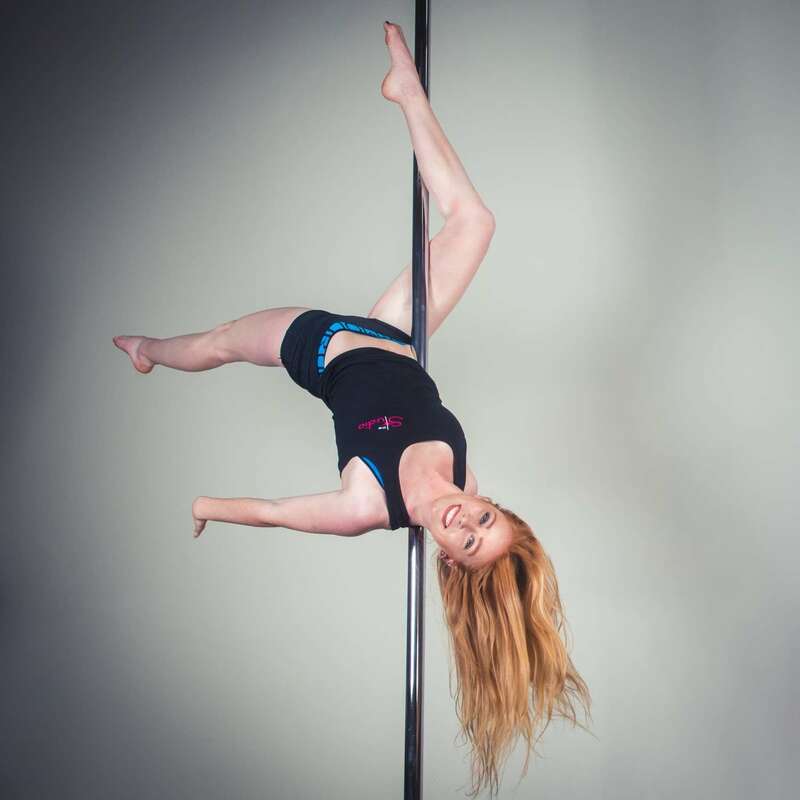 I have being pole dancing for just over a year now and I'm loving it! 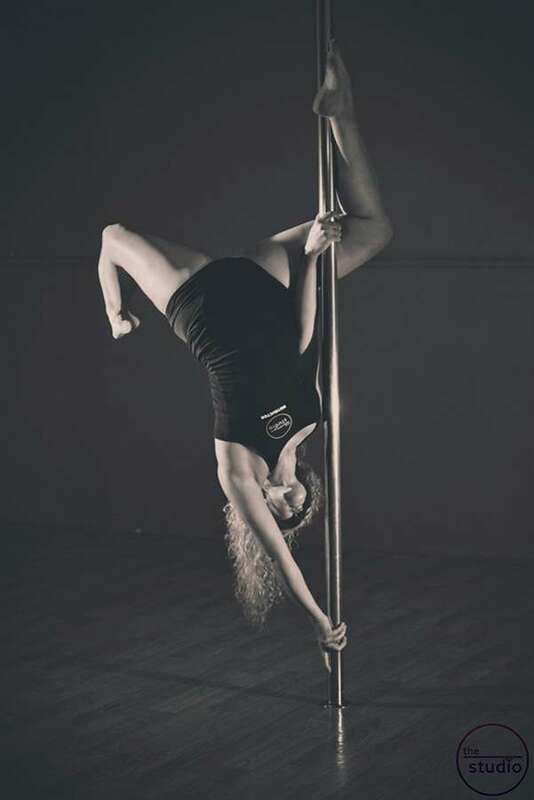 It keeps me active, I'm building my strength every day, and I love how pole dancing is constantly challenging me and helping me become a more confident person. 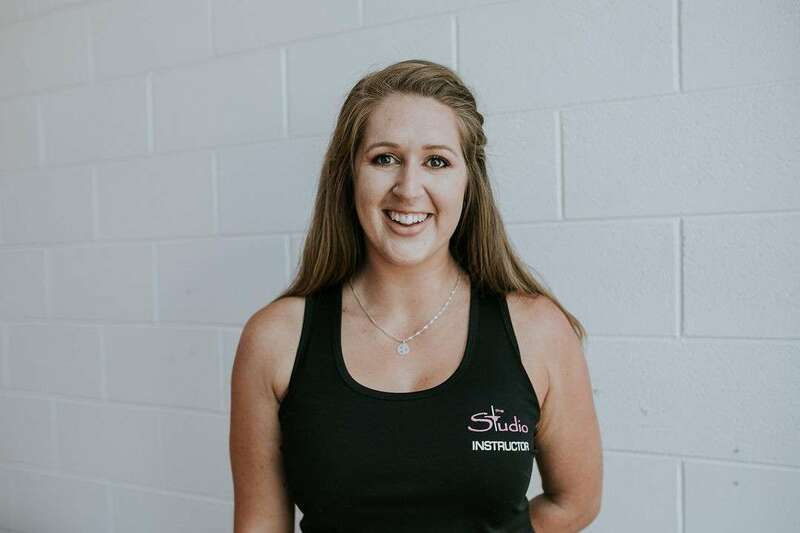 If you want to find a new and fun way to get fit, make amazing friends, and build your strength, flexibility and confidence, then come on down to The Studio and join our awesome crew. I have always struggled to find ways to exercise and stay fit and strong, because I always get bored, or just don't enjoy it. I have never had that problem with aerial arts. I started pole dancing 3 years ago. I will always remember my first class, I was nervous and shy, and overly concerned about how short my knee length shorts were...But I was hooked from my first class. I felt like I was flying and it was amazing! So, as soon as The Studio in Hamilton offered Aerial hoops classes 2 years ago, I jumped right in. It was love at first Delilah! I started Instructing in August 2018 and I love being able to pass on all that I know to my students. Seeing their amazed faces when I show them what we are learning next, and then seeing their ecstatic faces when they nail it themselves. I love watching their friendships develop and their confidence soar. 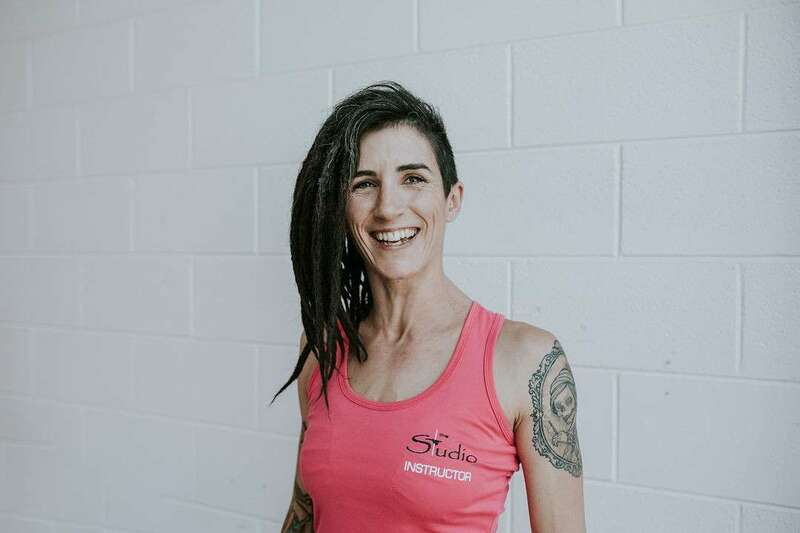 If you are considering aerial arts as a form of exercise, don't let anything hold you back...Fitness and strength are only a small part of what aerial arts gives you. Come along and discover the magic for yourself. 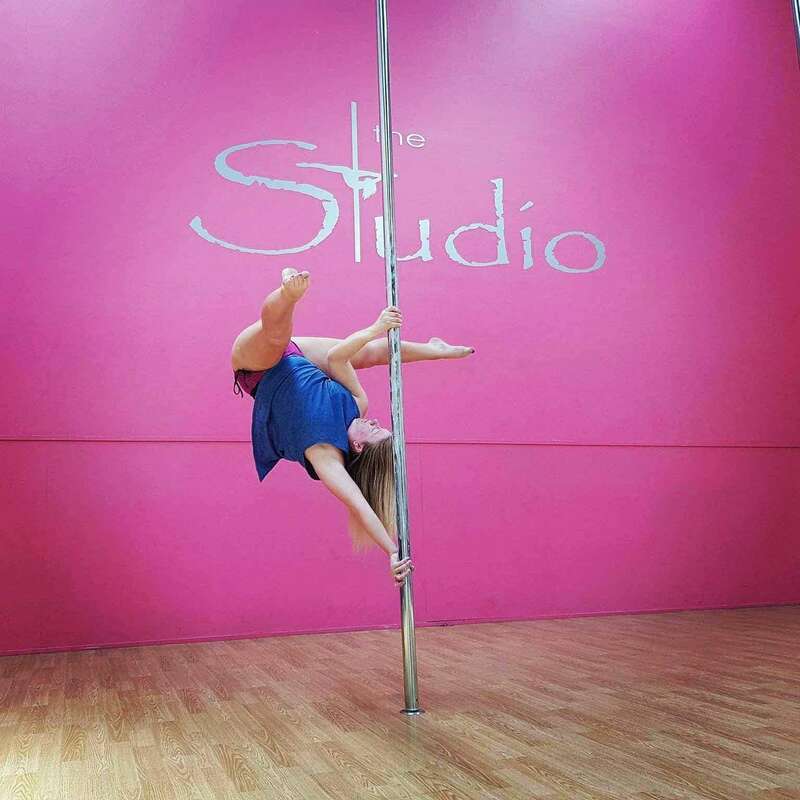 I am two years into my pole journey, and can safely say that starting pole is the best thing I have ever done! Through The Studio I have met the most amazing group of women who are all about supporting and lifting each other up; I love it. Outside of pole I am a management consultant and a bit of a gym addict. I love yoga and all things outdoors, especially hiking and rock climbing. Hope to see you around soon! With six years of pole dance experience and four years teaching behind me I can proudly say that pole has become a true passion for me. 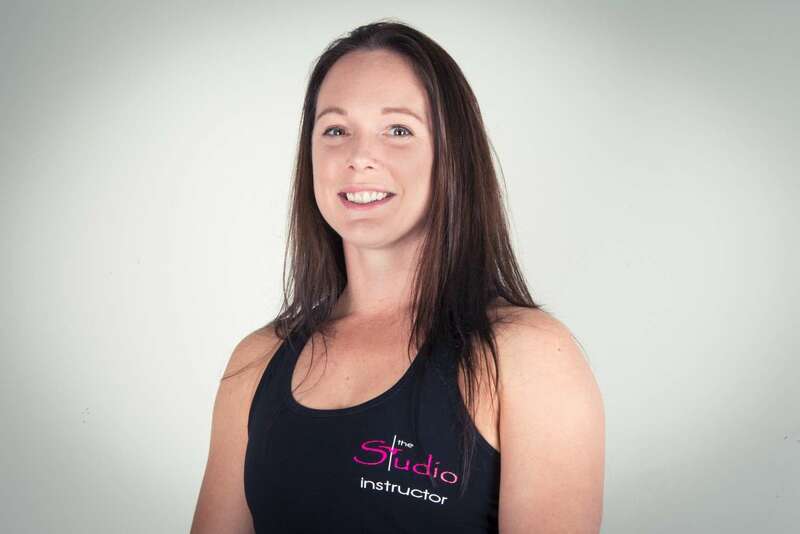 I have taught at both the Mount and Hamilton studios and am now currently Studio Mangaer and instructor at our Whangarei branch. 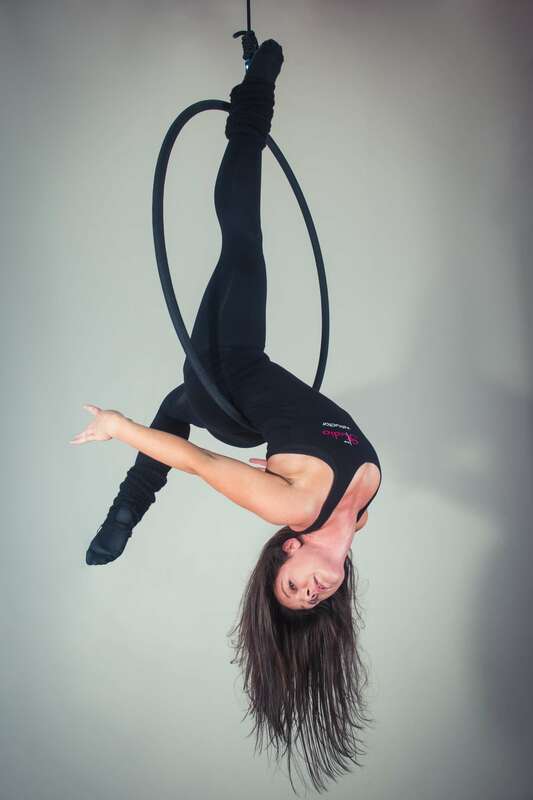 In addition to pole I also have four years Aerial Hoop experience, with two years teaching Hoop at the Mount Studio. Outside of my dance career I enjoy spending time with my two homeschooled daughters, and developing our off-grid lifestlye property. I love that pole brings women together in a supportive environment where we can build confidence and learn to love our bodies for the amazing things they can do. 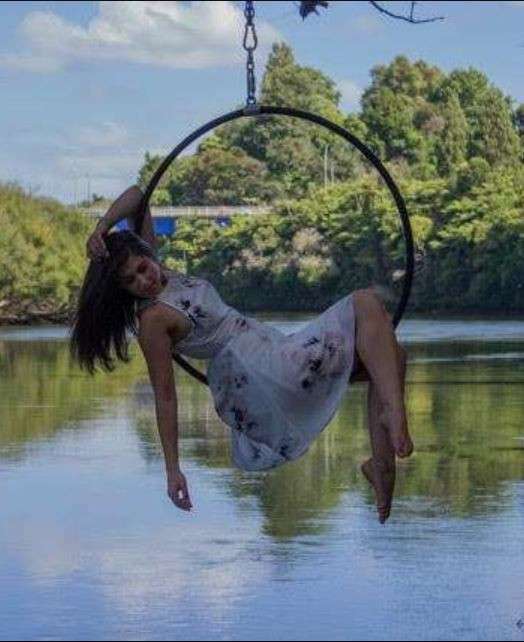 I’m really excited to see the aerial world open up for Whangarei, and that I can be part of it. My training has been mostly in Silks, but also Aerial Hoop, Aerial Chair, Aerial Straps and Aerial Net. 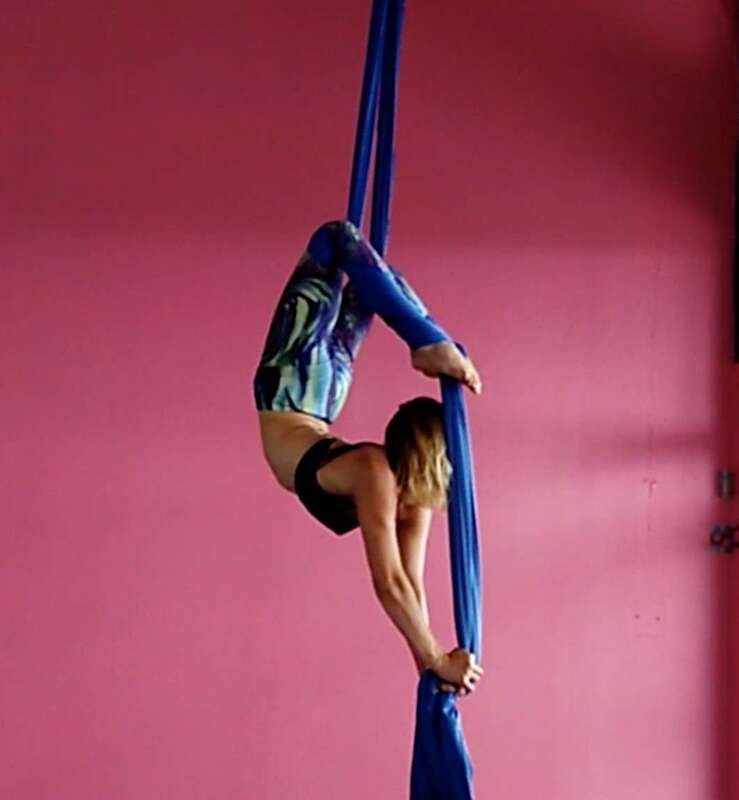 I entered the aerial world just over 3 years ago, where I finally found an exercise form that gave me pure joy instead of felt like a chore. I never want to stop playing and making shapes in the air, but my muscles tell me otherwise. 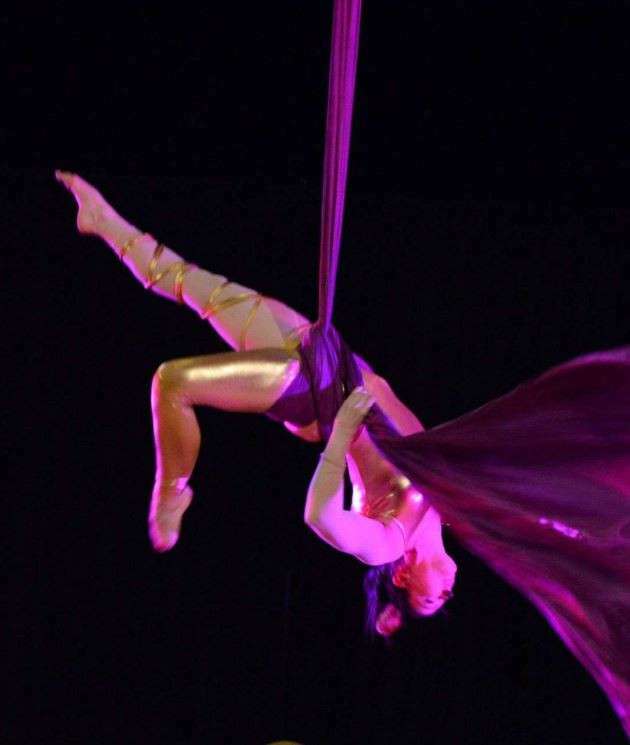 I believe the aerial arts is a place where we can feel empowered and supported by one another. Everyone finds different moves or concepts hard, and we get to learn so much more about what our bodies can do, what they are uniquely good at. As we help each other figure out how to achieve our goals, we celebrate strength, ability and overcoming fears. It’s not about a bikini body here, it’s about… “Woah you just got yourself up! Freaking awesome job abs! Well done!” It’s hard, but you get to fly! So come and play. Outside of my love for aerials, I love exploring the Whangarei’s walks and beaches and hanging out with my husband and puppy. My life mostly consists of drinking coffee and designing websites from home. 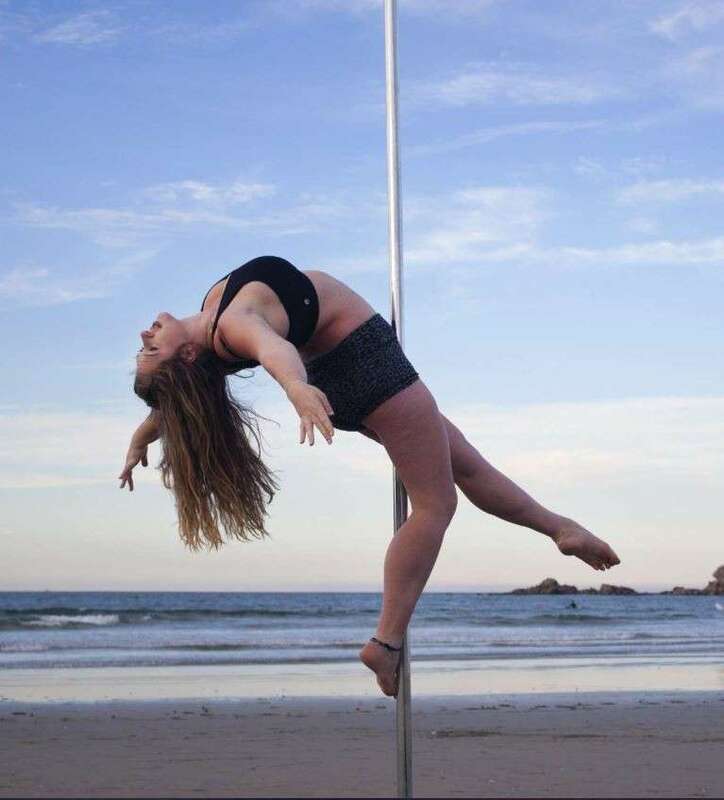 Very excited to have the opportunity to teach pole dance and burlesque here in my hometown of Whangarei! Burlesque has always been a passion of mine. I performed in my very first show in 2010 down in Christchurch and have since performed around NZ, taught workshops and helped to establish a burlesque troupe in Northland. Anyone can give it a go; there is no age/size/fitness requirement. Burlesque is not about looking a certain way or fitting a certain mould – it is about empowerment, body positivity and creative freedom. While taking a break from performing in 2017, I discovered pole dance and have been training at the Studio ever since. I love the challenge of working towards a new move and seeing my strength and flexibility improve. As a teacher it is awesome seeing my students develop their confidence and achieve things they didn’t think possible! It was by pure chance 2 years ago that i stumbled upon a page on facebook and saw there were pole classes starting at The Studio Whangarei. I thought i’d challenge myself and give it a go and see where it took me. I was then introduced to Aerial Lyra and fell in love. From being a student then fast forward to becoming an instructor is such an honor for me. My friends & mentors have helped me gain knowledge, which in turn have empowered me to push my boundaries. In 2018 for the first time i performed and competed in the first NZ Miss Lyra competition in Christchurch. It’s now my chance to empower others, to help them push their boundaries and to inspire others as i once was which has lead me on this beautiful journey! !